American TV maker Vizio Inc. is doing its part in the fight to stop the spread of Aids and HIV in Africa by teaming up with a non-profit organisation called Product Red. The company will release a limited edition red model of its top of the line 55-inch P-Series 4K TVs, with 10 percent of each sale to be donated to help Product Red, which helps people suffering from the disease. For those unfamiliar with Product Red, the non-profit was founded in 2006. Its aim is to raise awareness about Aids and HIV, and to do so it partners with big brands and gets them to sell red coloured limited edition versions of their products. Its biggest partnership so far was with Apple Inc., which released a red iPhone 7 in 2017, followed by a red iPhone 8 this year. 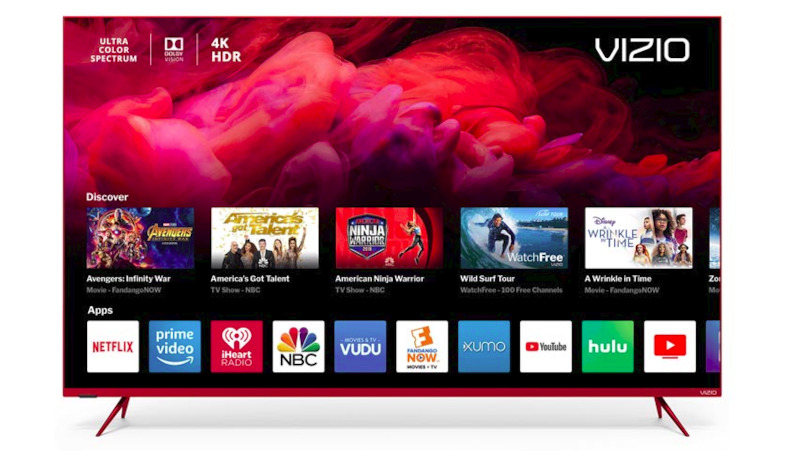 While colourful smartphones are nothing special, Vizio’s red P-Series is probably one of the first ever TVs, if not the first, to sport a distinctive and shiny red finish. As can be seen from the image, the design is actually quite stylish and bold, and would surely stand proud in most living rooms, making a nice change from the standard black and silver frames that the vast majority of TVs are adorned with. The TV itself isn’t all that bad either. Admittedly it's not quite up to the standards of LG, Sony and Samsung’s higher-end 4K TVs, and it’s not even OLED. But still, it does offer an expansive range of colours, brightness and the kind of pristine details we’ve come to expect from any half decent 4K set. It's also said to provide a decent HDR performance, with full array local dimming with 56 zones producing nice, deep blacks. Besides the picture quality, the Vizio P-Series also provides access to essential apps such as Netflix and YouTube via its SmartCast OS, comes with Chromecast built in, and supports Google Assistant and Amazon Alexa. So finding things to watch won't be a problem. All in all it sounds like a viable option for anyone looking for a decent budget 4K set. Vizio hasn’t said anything about pricing or availability of its Red TVs just yet, but promises that each purchase is a part of its commitment to provide “375,000 days worth of life-saving HIV medication” to people in Africa. So if you're a nice person who likes to help good causes and are also in the market for a new 4K TV, Vizio's limited edition red model might just be worth a look.